Road traffic collisions account for a large number of claims for personal injury compensation every year as well as many fatalities. In spite of all the measures put in place to make cars and streets safer for road users, drivers, cyclists and pedestrians are still often taking their lives into their hands. Recently, the experiences of cyclists have been particularly under the spotlight as six people died using London’s cycle superhighways in two weeks in November. Outside of London there have also been several incidents leading to deaths and serious injuries of cyclists in towns and cities, highlighting the need to review how cyclists are protected on the roads. Some of what needs to be done needs legislation and changes in social policy in order to make it happen. However, there are some things that cyclists can do to protect themselves and points drivers can take to ensure they’re not endangering others. There are some key things you can do as a cyclist to stay safe while on the roads that are simple and effective. The first of these is making sure that you’re clearly visible. Wearing bright colours and reflective clothing helps bring you to the notice of motorists and make them stay out of your way. Never cycle without your lights – you should have at least one white light on the front and a red one on the back as a minimum to ensure you’re visible. 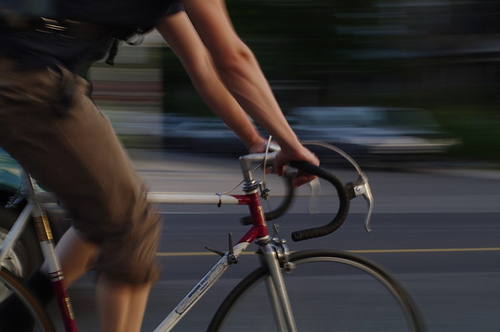 The second thing is to be aware of things that could cause harm to you on your bike. Don’t pass on the passenger side of vehicles as a rule, but particularly large vehicles and articulated trucks. Larger vehicles don’t move like cars and visibility is poorer, making it more likely that you’ll get hit or trapped. When passing vehicles on either side, make sure you check in their wing mirrors to see if there is anyone who’s likely to get out. 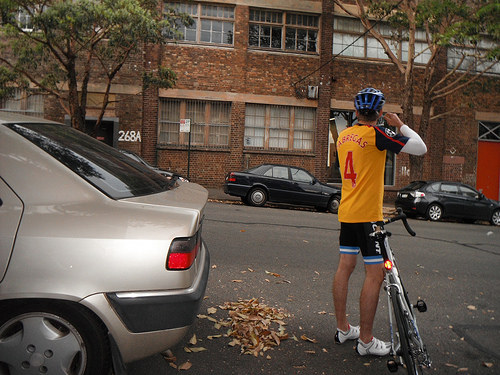 Many accidents are caused by people opening their doors and knocking cyclists off their bikes. Finally, try to make eye contact with motorists wherever possible. This has the dual benefit of making sure they acknowledge your presence and gives you the chance to check that they’ve done so. Ensuring that you do all you can to drive your car safely is an important part of being a good citizen and can also limit your liabilities if the worst does happen and someone gets injured in an accident in which you are involved. The old mantra of “think once, think twice, think bike” is a good one to remember and helps you to keep your attention on road users who may be more vulnerable. When driving a car, the natural tendency is to look out for other four-wheeled vehicles and pedestrians, cyclists and motorcyclists are often overlooked. Keeping these road users in mind can help you be a more considerate driver. When passing cyclists and motorcyclists, get out your mental protractor and imagine the curve if they were to fall sideways – could the amount of space you’re leaving for them allow them to do so without you running over them? If not, adjust your passing distance or slow down so you can react more responsively if they do fall. If you are injured in a road traffic collision or are unfortunate enough to be the one doing the injuring, insurance and legal protections are in place to ensure that proper redress can be sought and individuals protected. However, in light of recent increases in accidents, it makes sense to protect yourself in the best way possible – after all, prevention is better than cure. An article by Jane in conjunction with the Personal Injury Claim Centre, a good place to visit if you need to seek personal injury compensation.